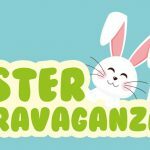 HOME > Design > Soapbox’s Easter Eggstravaganza! This year, Easter and April Fools Day fall on the same day- so we started to think of a way to bring the two occasions together. After wracking our brains, we came up with the perfect idea- how about taking a poor, innocent member of our design team and transforming him into a giant fluffy idiot? In fact, we got so carried away with our plans that we sort of forgot to ask Peter Rabbit himself whether or not he’d be happy to go along with it. Our Easter Eggstravaganza is all ready to go – whether he wants it to or not! Our Peter Rabbit might not be the same one currently appearing on the big screen. Be honest, though – would you rather meet a real rabbit, or point and laugh at a man dressed like one against his will? Even better, if you come down to meet him in person, then he’ll be handing out chocolate like any good Easter Bunny. Keep reading, and we’ll tell you how you can take part in the fun- as well as helping take Peter down a peg or two. At Soapbox, we don’t take a cut-and-paste approach with marketing. If you put out the same boring content as everyone else, then your business has no hope of standing out from the crowd. Consumers will just ignore what you have to say, and your sales figures will suffer as a result. Surely there’s a better way of doing things? To get the most out of your marketing, it needs to be genuinely engaging to customers, and that often means putting a whole new spin on things. As humans, we quickly become desensitized to things we see every day, but when faced with something new, we can’t help but take notice. That’s why we always inject every design project with a healthy dose of creativity, so that your company doesn’t simply end up lost in the background noise of standard advertising. Of course, it’s one thing to say that we offer all this, and quite another to actually prove it. Well, we’re not ones to shy away from getting our fluffy white tails dirty. On the 28th of March, for one day only, Peter Rabbit will be making a special appearance at our sister store, Soapbox Design. His public humiliation is just one part of the plan, though. You couldn’t have Easter without eggs, so our chocolate chicken has been working overtime to make sure we’ve got plenty of them to go around. Getting your hands on one for yourself couldn’t be simpler. Just swing by Soapbox Design on Eglinton Street on the day, check in, and post your selfie with Peter onto Facebook. He’ll then present you with your Easter egg, and if you’ve got any more insults to throw at him, feel free- we won’t charge you for the privilege. Even if you can’t make it over to Soapbox Design in person, don’t worry- there’s still a way you can join in with Peter’s public humiliation. We’ll have a live feed from the office up on our Facebook page, so be sure to check it out if you want to see a grown man look like an idiot to the whole world.